Every quarter, we analyze the millions of data points we’ve acquired and filtered regarding the mobile device trade-in market. We examine globally the most-traded devices, the devices with highest trade-in values, total amount of money returned to U.S. consumers, average value of traded devices and more. While there are certainly statistical peaks and valleys throughout the year, Q3 is consistently a high-performing quarter. And one of the main reasons—the annual iPhone release. It’s typical to see between $400 million and $450 million returned to U.S. consumer hands in any given quarter. That number always spikes when a major manufacturer releases a new device. In Q3 2018, with the launch of the 3 new iPhones, the spike exceeded expectations. In the last 3 months, $628 million was returned to consumer hands via device trade-ins. If you’re one of the consumers hanging onto your old devices instead of trading them in, Q3 2018 data shows you’re missing out on significant value. When Is It Time for a Trade In? If you’ve been keeping up with these quarterly updates, you know that one trend we’ve focused on is the average age of traded devices. Two years ago, the average trade-in device was under 2.5 years old. Since then, the average age of used devices has risen steadily. In Q4 2016, the average iPhone trade-in was 2.51 years old compared to all other smartphone trade-ins which were 2.02 years old. Now, the average iPhone trade-in is 2.92 years old compared to 2.66 years old for all other smartphones—a 2.83-year-old average. We’ve often said that there’s no better time to trade in your device than right now because, like a car, it loses value by the minute. However, the iPhone 6 has held its spot as the most-traded smartphone model for 9 straight quarters. Clearly, trade-in value alone is not the driving factor for consumers. Because many new devices are so expensive, it makes sense that consumers are keeping their smartphones longer than the old two-year standard. Even still, the average smartphone returns $94.14 at trade-in with iPhones returning over $150. No matter how old your device is, the best way to maximize your ROI is to trade it in when you’re ready to upgrade. With carriers like AT&T and Verizon and retailers like Best Buy offering attractive trade-in offers to upgrade, it makes little to no sense to hold on to a depreciating asset. 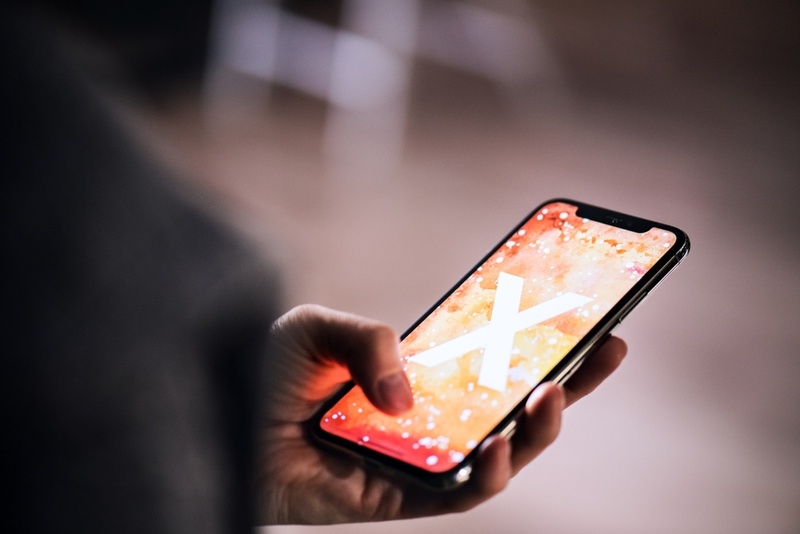 The trade-in process is made easy when you upgrade, with you receiving money instantly and assurance that all of your personal data from your old phones are wiped clean. Three of the top five devices with the highest trade-in values are iPhones (iPhone X at $484.87, iPhone 8 Plus at $382.06, and iPhone 8 at $316.65). And we’ve already mentioned how well these models retain their value. There are high-ROI options for Android users as well. For the first time since last year, Samsung has entered the top five most-traded devices with the Galaxy S7. And the remaining two entries in the top five highest-value devices are Samsung models (Note 9 at $442.60 and Galaxy S9+ Duos at $345.41). Regardless of consumers’ preference for iPhones or Android devices, they can benefit from trade-in programs. However, timing is crucial for device trade-ins. Over time, some devices will start to lose more value than others. 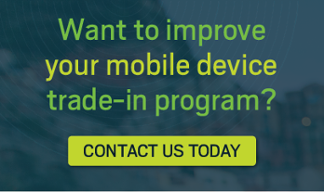 For more information on the big winners and losers, please subscribe to HYLA’s Device IQ program, the world’s most comprehensive data analytics platform for secondary market device pricing. The key to maximizing ROI is finding the balance between device preferences and future trade-in value. When you take a look at the larger set of trade-in data, you can see where to get the most value—not just at initial purchase, but as you continually upgrade and trade devices. Check out our Q3 Mobile Trade-In Data infographic for the complete picture of these new insights.